Most know that when you are traveling in the wilderness, predators are likely to attack only if they perceive that they're bigger than whatever else they happen to see. So, humans usually have it pretty good... but the things that are bigger than people can be really scary! For that, it is important to show that you're even a bit more threatening than you initially seemed. Now, in all of history and fantasy, there is only one creature that basically can run around without fear of anything: the dragon! 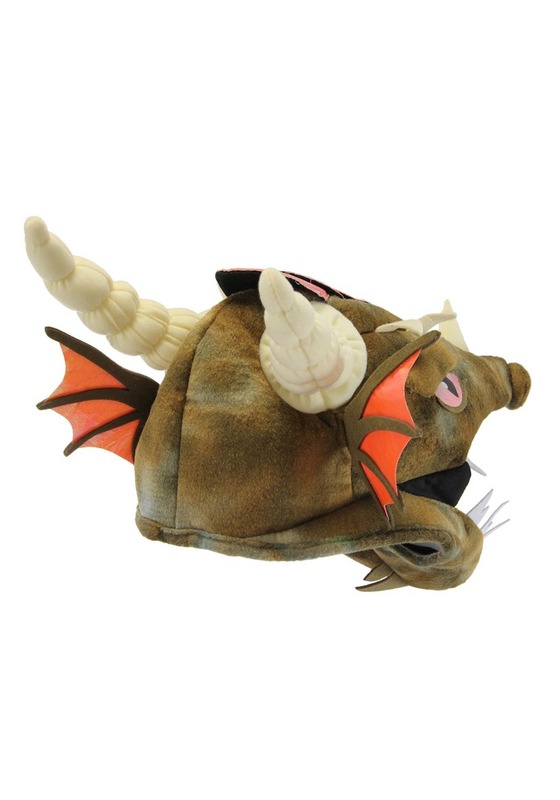 Bolster that silly human DNA with a few strands of draconic greatness with this Adult Dragon Jawesome Hat. 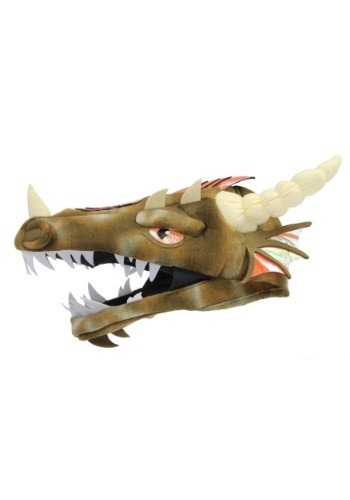 This cap is amazingly constructed and features several incredible details of a dragon's head. Bright and intimidating eyes. Shining cranial and snout horns. And, dare we forget those man-eating teeth! Wear it on top of your head for a totemic boost in height or fully over your head and stare out from within the mouth! We're not exactly sure how we go from having a dragon head to gaining the company of singing maidens and noble knights. But, we do know that it happens with surprising regularity. All you need to do is make sure that everyone knows that you're their friendly dragon and you can avoid any sticky situations.